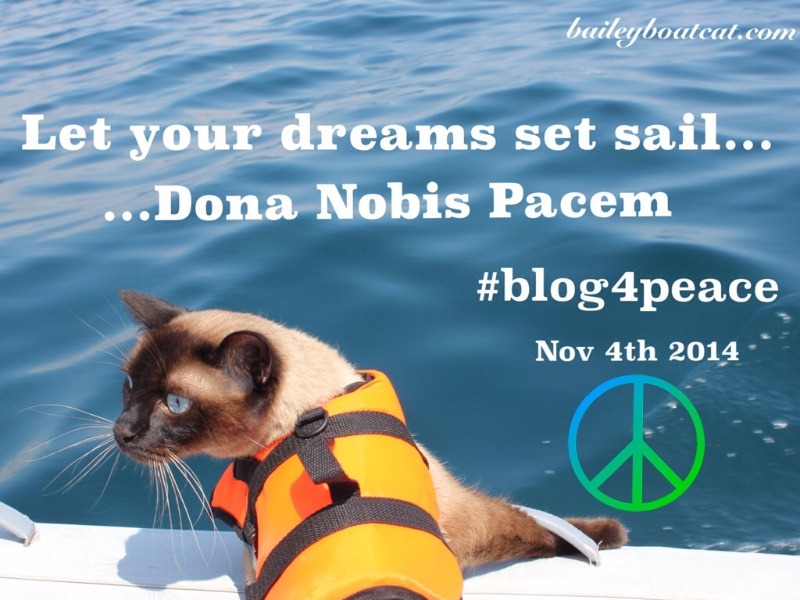 Today I’m purring for peace along with bloggers all over the world I’m taking part in the Blog Blast for Peace. Dona Nobis Pacem means grant us peace in Latin. 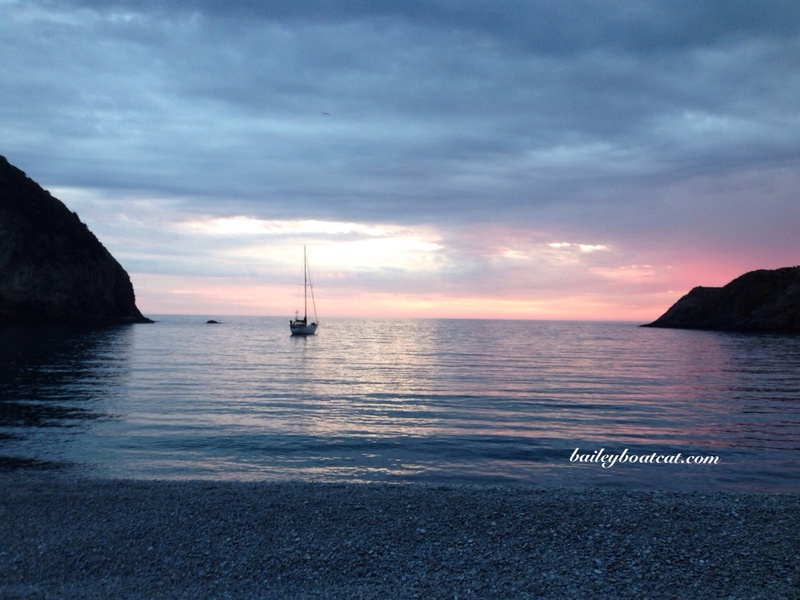 I’m very lucky to live close to nature and be blessed to see the beauty and peace that the ocean provides. There is nowhere more peaceful to the humans and I than wherever we drop our anchor. I hope and dream that evfurryone will be able to live peacefully on our blue planet. Human furiends remember that a smile starts another smile and furry furiends a purr or headbutt starts more purrs and more headbutts. Be nice to each other. « Diving into the week! Great blog Bailey……..we animals know how to live in peace – hopefully humans will figure it out one day soon too! Gorgeous sunset!!! 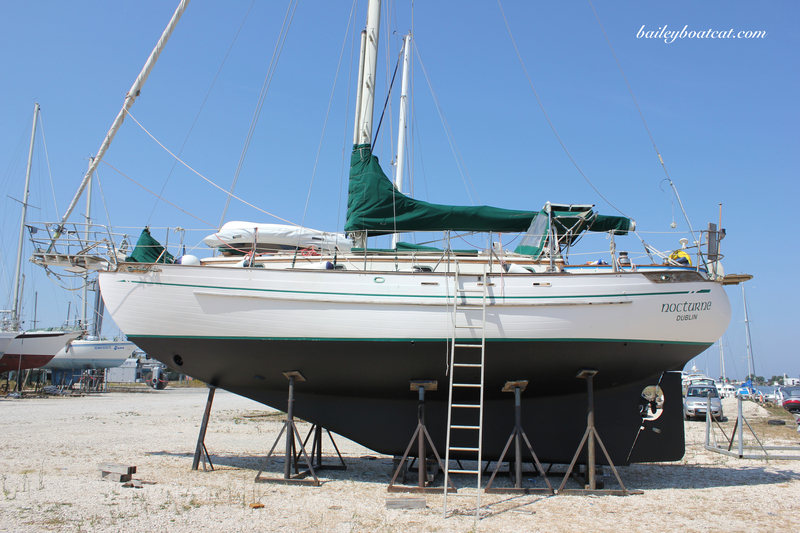 Thank you for your wonderful view of life living on a sailboat. Amen! That was wonderful, Bailey! Peace to all, dear Bailey. This is such a beautiful event, and I especially love your post, Bailey. Wonderful thoughts and hope that one day peace on earth will be something we all enjoy. What a peace-filled post today, Bailey. Peace and love and lots of purrs to you too. We comment yesterday, don’t know what happened 😦 Love it!